Yu-Gi-Oh! 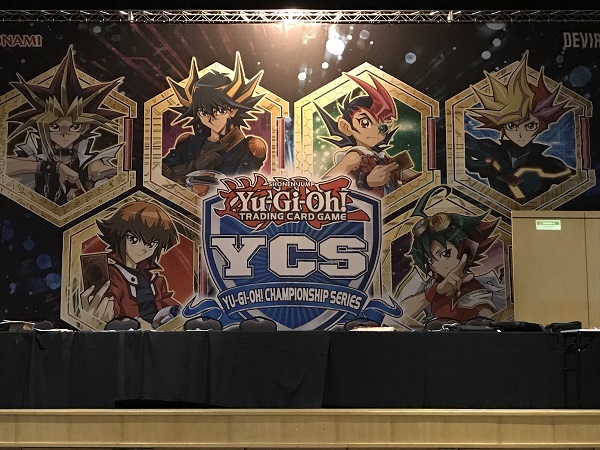 TCG Event Coverage » Welcome to Yu-Gi-Oh! Championship Series São Paulo! Home > 2018/11 - São Paulo, Brazil, Yu-Gi-Oh! Championship Series	> Welcome to Yu-Gi-Oh! Championship Series São Paulo! The last Yu-Gi-Oh! Championship Series that took place in South America was in in Santiago, Chile in April this year. 7 months is a long time in the Yu-Gi-Oh! TRADING CARD GAME, having seen multiple product releases and Forbidden and Limited List updates as well as a World Championship Qualifier and a World Championship! At YCS Santiago, Pendulum Magicians ruled the roost, but despite losing Astrograph Sorcerer to the Forbidden List in May, there are a number of Duelists in attendance that have adapted the Deck. How will the old guard do against a field of newcomers like Danger! and Sky Striker? Will we see any new strategies emerge with the introduction of Hidden Summoners to the field? Or will a tournament mainstay like Trickstar, Gouki or True Draco take the win? We have about 455 Duelists in attendance today. We don’t have the exact number yet due to late entries, but this is already the biggest tournament held in South America!